Stamp the 8th September 2016 firmly in your diary because Necessaucery Ltd are about to send shockwaves around the sauce status quo with the launch of two brand new, distinctly Scottish sauces. These sauces are dangerously different - they’ve been created with real bottle built in. Necessaucery cooked up these rebel condiment contenders to revolutionise the old sauce school and challenge the boundaries of taste. With these new kids on the sauce shelf, Necessaucery aim to blaze a taste trail, and guarantee that this saucy stuff will transport you to bold new frontiers of flavour. So stand back, red and brown bottles, you’ve had your moment in the sauce sun. Necessaucery’s cutting edge condiments offer something radically different, but they’re designed to be used every day, in all sorts of ways. With these fellas, you can rip up the culinary rule book and shake up the sauce scene for good. 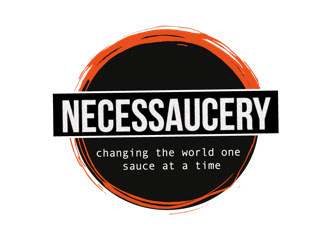 Necessaucery - changing the world, one sauce at a time. More information to follow . . . . .